IMPORTANT: Please use our new website to purchase our products. We have kept the old site here for nostalgic reasons and to maintain support of our old products! Below are links to appropriate product categories on our new site! 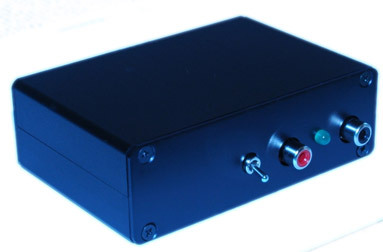 The Digilog is a microcomputer controlled stereo encoder that combines the best of analog and digital techniques for fantastic performance. Designed for optimum stereo seperation and excellent spectral cleanliness this encoder will provide that extra performance for radio stations who want something a little special. Audio baseband filtering combined with the latest digital techniques and post MPX filtering make this unit easily conform to even the most stringent broadcast regulations. And because the energy from the encoder is in the right places you will gain extra loudness inside your bandwidth limits. The ultra low distortion pilot tone will allow excellent compatibility with subcarrier services such as the Radio Data System (RDS) High quality components and printed circuit board will ensure you have 24 hour operation for years and years. The internal power regulator allows the encoder to be run from 8 to 18 volts but still employ a split rail power supply for maximum dynamic range.Balanced input chips are onboard as standard allowing balanced output professional mixing desks and audio processors to be connected to the encoder. The encoder will function with any composite/mulitplex/mono transmitter/exciter. Supplied with a comprehensive 12 page manual. 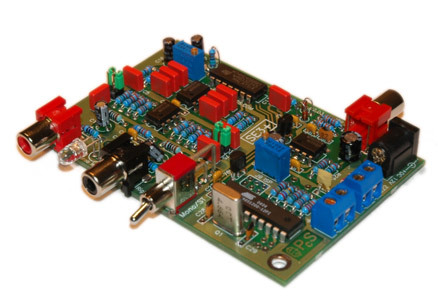 SE3+ is an excellent, low cost, high performance stereo encoder. It was designed to offer great stereo separation and excellent clear sounding audio for the MAX family of FM exciters as well as any other MONO FM transmitter. This encoder will finally provide your MAX PRO I, MAX PRO II or MAX PRO III with quality stereo capability. Digital over-sampled pilot synthesis, audio low pass input filters, selectable pre-emphasis, limiter and basic post mpx filtering ensure excellent distortion-less sound that is sure to please your ear. SE3+ allows excellent compatibility with sub carrier services such as the radio data system � RDS (suitable RDS encoders are also available from PCS Electronics). High quality components and printed circuit board assure 24/7 operation for years. 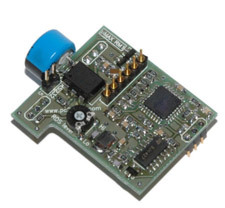 Power, optional 19KHz output and audio terminals are all available on the PCB and no soldering is required. SE3+ is available in a KIT form as well and makes for a great weekend fun project. This is a perfect KIT project even for beginners, easy to assemble and setup. Have a quick look at the manual! 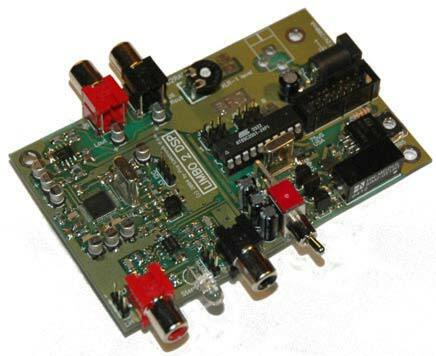 ENHANCED TRULY DIGITAL DSP STEREO ENCODER WITH LIMITER AND COMPRESSOR! This completely redesigned unit uses DSP to generate pilot and process audio in ways which are very difficult or close to impossible to do with usual analog technology. And it does all that in exceptionally small factor! 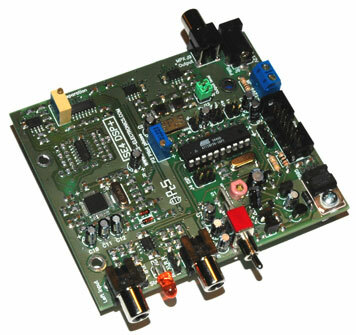 It has many advantages over SE-3 and previous version SE4; brick-wall low pass audio filter with a sharp 19KHz notch, limiter and compressor, improved pilot generation due to DSP, stereo/mono switch with LED indication, balanced and unbalanced audio inputs, increased channel separation, precise preemphasis, less noise, on-board power connector and an optional LCD display connector. 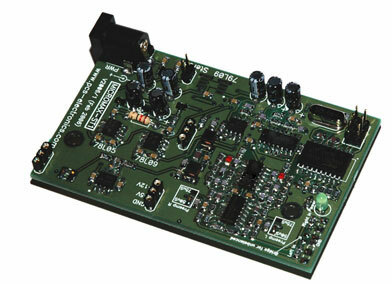 Optional LCD control unit makes it possible to set treble, bass, preemphasis and compressor settings. SE4 can be connected to MAX PRO III via dedicated data cable making it possible to control both units via single LCD control unit. Cost-efficient and simple. Designed specifically as a companion for all MAX PRO series exciters, but is also compatible with any FM exciter. All the connectors and switches are mounted on the board so connecting this unit requires no additional soldering. Mounting holes are compatible with SE3. This is a perfect stereo encoder for beginners and professionals. Why is SE4 DSP + so great? - Drop-in replacement for SE3 and SE4! Same mounting holes as SE3 and SE4, only slightly longer! - Built-in limiter, low pass filter and compressor/limiter, all controlled via backlit LCD display and keys. Same LCD unit can control MAX PRO 3 and SE4 DSP+ at the same time, if you connect the two units with the I2C cable! How is SE4 DSP+ better than SE4? - Reduced heat generation (7805) by about 50%. 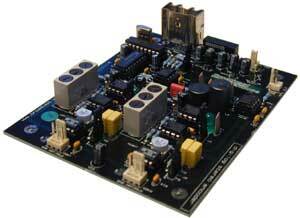 SE4 DSP+, setting new quality standards at simply unbelievable price! Finally also available in 19" rack enclosure! Units are on stock, shipping immediately! BY FAR THE BEST PERFORMANCE FOR THE MONEY, NOW EVEN WITH RDS CAPABILITY! This is our new miniature stereo encoder, performing somewhere between our low cost SE3+ and high performance SE4 DSP+. Indeed, it is amazing how much performance you can squeeze from such a small unit, thanks to SMD technology; there's limiter with peaking leds, balanced inputs (XLR), low pass filters, precise selectable preemphasis and MPX filter. DOES NOT use crappy Rohm chips! Uses DSP techniques to generate pilot and process audio. And it does all that in exceptionally small factor. If you're not impressed yet, note expansion pins on the pictures below. You can easily expand functionality by adding a plug-in RDS daughter-board. Wiring-up RDS encoder has never been easier than this. Plug it in and enjoy a wide array of Radio Data System functionality. Why is MICROMAX ST-1 so great? - Small (micro) form factor! - Plug-in RDS upgrade board available, giving this stereo encoder RDS capability! - You can attach balanced or unbalanced audio inputs. How is ST1 better than SE3+? How does it compare against SE4+? MICROMAX ST-1, unbelievably low price for amazing performance! The long awaited audio processor is finally here. LIMBO I does it all, precision preemhpasis, compression & limiting. All of this with minimal noise and distortion, ensuring that crisp and powerfull sound you always wanted while making sure you're not causing interference to nearby channels. Careful PC Board layout, precision IC amplifiers and carefull design make LIMBO I an exceptionally clean audio processor. Includes on board controls for preemphasis selection (50uS, 75uS or no preemphasis), compressor on/off jumper, compressor release speed and output level selection. RCA connectors are mounted on the board so connecting this unit requires practically no additional soldering. Special note: LIMBO I now ships without the 15KHz Low pass filter. Do you have problems with ground loops (buzzing or noise from PC) and overmodulation? Is your stereo pilot affected by your audio content (no 19KHz notch filter)? Do you need a limiter/compressor? Preemphasis? Look no further, LIMBO II DSP is here!. It comes with latest in 24-bit DSP technology, making it possible to create sharp filters, precise preemphasis and compressors/limiters in a very small and reliable package, ensuring that crisp and powerfull sound you always wanted while making sure you're not causing interference to nearby channels. Careful PC Board layout, precision IC amplifiers and carefull design make LIMBO II an exceptionally clean audio processor. Includes on board controls for preemphasis selection (50uS, 75uS or no preemphasis) and optional connector for LCD control unit, making it possible to set all of the parameters via MENU system. 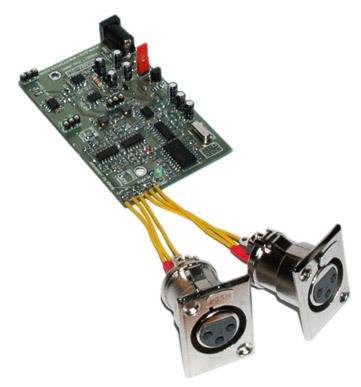 RCA connectors (3-pin jumper for XLR balanced input) and 2.1mm power jack are mounted on the board so connecting this unit requires no additional soldering. NOTE: If you have SE4 you don't need this unit as it already contains LIMBO II DSP. 19KHz notch, 70 Db typ.